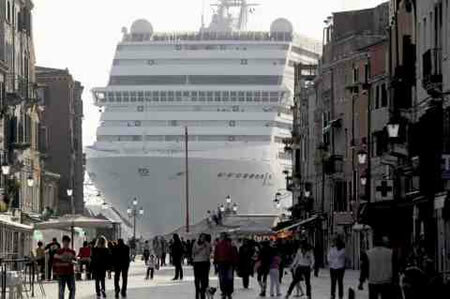 The Italians have come up with a smart idea to help cruise ships berthed cut out on fuel consumption and save energy. Ships while berthed need energy to keep the systems up and running, due to which they currently use fuel. This results in the emission of carbon dioxide and nitrogen oxide when the fuel is burnt, causing damages to the environment around. So, instead of consuming fuel, ships berthed in Italy will simply be connected to the power grid. This will help reduce carbon emissions by 30 percent and above and nitrogen oxides and other particulates that tend to danger the environment by a sweet 95 percent. A system will be developed to power up ships when berthed eliminating the need for generator use and reducing sound pollution too. Systems like these are already being used in a number of ports around the world like those in Los Angeles in the United States and the Swedish Goteborg port. This brainwave by the Italians will surely help the environment a whole lot while ships rest at on-shore ports.